A male Western gray squirrel as seen from my bedroom window one morning two weeks ago. Quoting Komsomolskaya Pravda newspaper, the BBC reported; “Squirrels have bitten to death a stray dog which was barking at them in a Russian park… Passersby were too late to stop the attack by black squirrels in a village in the far east…. Squirrels on this hill have plenty of pine cones to dine on, which could explain why they don’t bother to attack dogs (or cats). The squirrels, however, make their presence known in other ways. 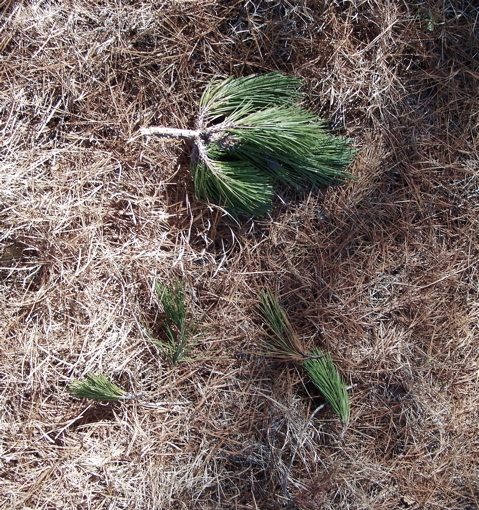 My neighbors and I are forever finding tips of pine branches lying on the ground. 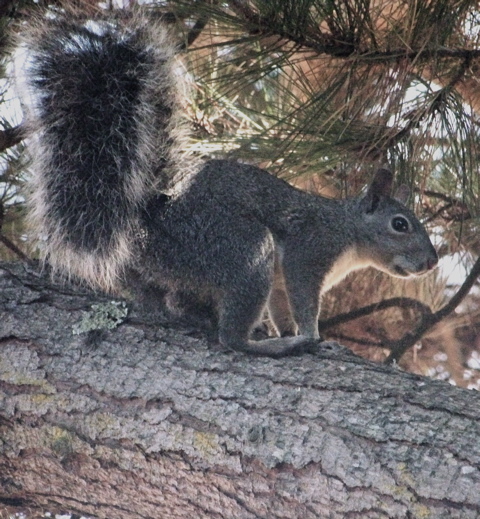 Western gray squirrels (Scuirus grilseus) like to feed on pine trees’ cambium layer, which is immediately under the bark, the University of California’s Integrated Pest Management Program notes. In the process, squirrels gnaw off twigs. One of the four species of tree squirrels in California is a particular problem for agricultural and suburban gardens, which is why Integrated Pest Management is interested in squirrels. 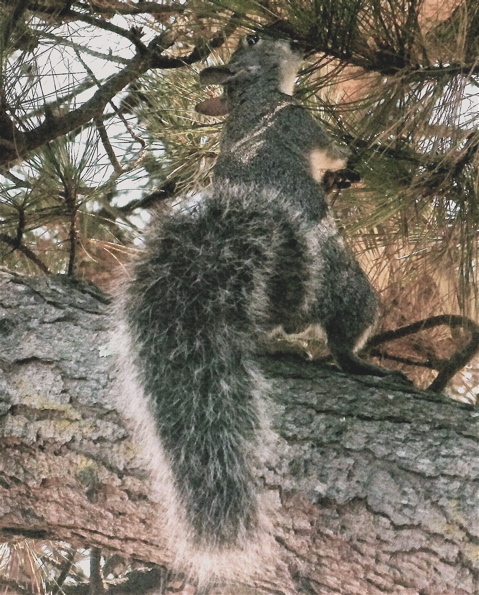 Although you need a state permit to kill or capture most tree squirrels in California, the same does not hold true for Eastern fox squirrels. California is a free-fire zone when it comes to these rodents, which are also known as Red fox squirrels. Some people have theorized that Scuridae, the scientific name for the family of rodents to which squirrels and chipmunks belong, may have the same root as our word scurry. Whatever the case, it is known that the name squirrel comes to us from squyrel in Middle English (what Chaucer spoke in the 1300s). Squyrel, in turn, came from the ancient Greek word skiouros, which not surprisingly meant squirrel. 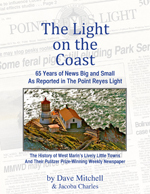 Sparsely Sage and Timely is powered by	WordPress 4.9.10 and delivered to you in 0.354 seconds using 50 queries.